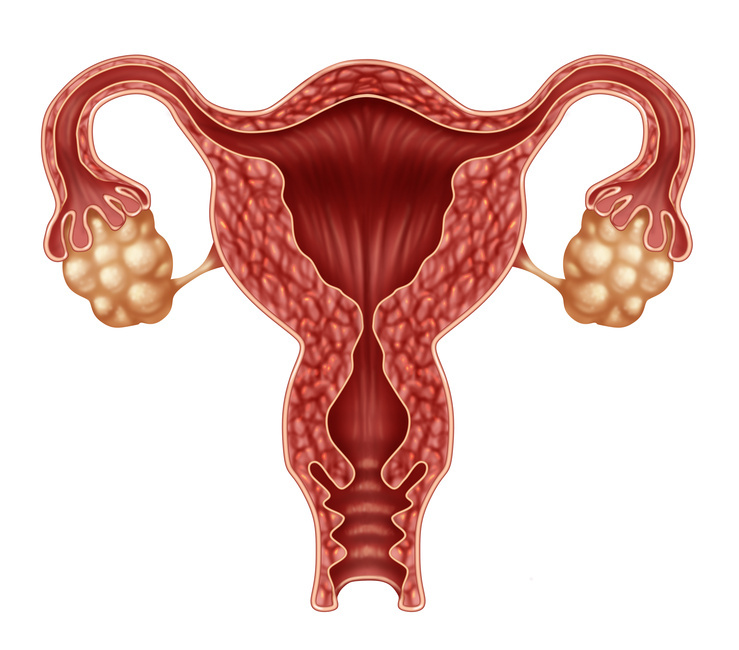 Polycystic ovary syndrome (PCOS), also called hyperandrogenic anovulation (or Stein–Leventhal syndrome is hormonal imbalance that affects women and is one of the leading causes of infertility. Women with PCOS have high levels of male hormones (androgens), which play a role in blocking the release of the egg from the follicle leading to no ovulation or delayed ovulation. The high androgenic environment can lead to eggs that are not at their best quality and a less receptive uterine environment for implantation, both leading to infertility or miscarriage. Many women with PCOS do not have the common visible symptoms of excess hair, acne and being over weight and can be misdiagnosed by their healthcare provider as having unexplained infertility. Thin patients and others without these classic symptoms can have this ovulatory disorder and hormone imbalance as well which is why at Acubalance we recommend testing to rule out PCOS as a cause of infertility for women we see who have ovulatory disorders or signs of excess male hormones. Since it is common for women with PCOS to have a weight problem, researchers are looking at the relationship between PCOS and the body's ability to make insulin. Insulin is a hormone that regulates the change of sugar, starches, and other food into energy for the body’s use or for storage. Excess insulin causes a rise in male hormones, which can lead to acne, excessive hair growth, weight gain, and ovulation problems. Environmental pollutants can also act as endocrine disrupters, causing dysfunctional follicles. If you have been diagnosed with PCOS by your medial doctor and you are planning to have a baby, make an appointment with an Acubalance practitioner. We can support you to help you balance your hormones and to increase your chances of conceiving naturally, and most importantly, having a healthy pregnancy and baby. At Acubalance we offer an integrative approach that includes conventional approaches, naturopathic, functional medicine as well as Chinese medicine and acupuncture. In addition to diet, exercise and life style changes, your Acubalance practitioner may recommend a special acupuncture protocol 2 or more times per week, prescribe supplements and herbal formulas to regulate your hormones and support ovulation. Studies have shown specific acupuncture protocols to be as effective as Western drugs in stimulating ovulation. After a couple months of treatment, you should begin to notice signs of ovulation, such as increased mid-month vaginal discharge and elevated Basal Body Temperature (BBT). 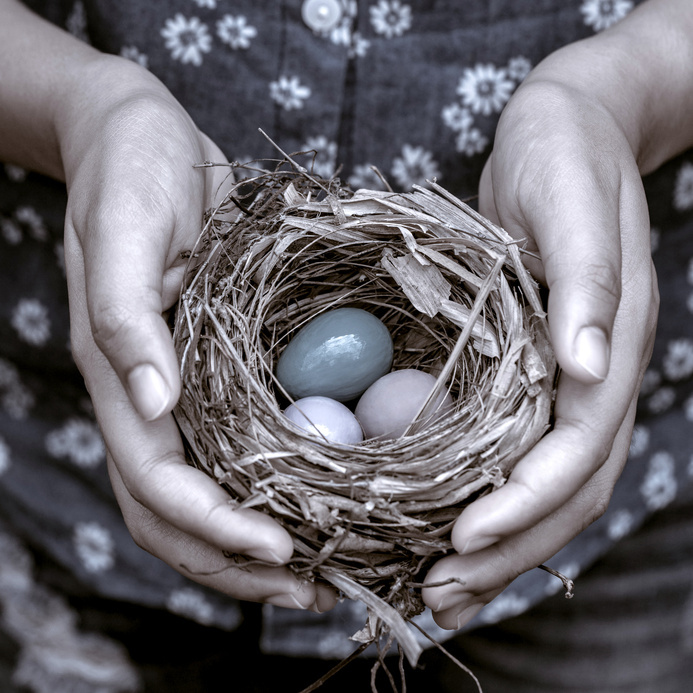 You may notice that if you have very long cycles, ovulation comes earlier in the cycle, indicating healthier egg production. As well, your skin should clear up and if you are overweight you will shed some excess pounds. Successful Treatment of Polycystic Ovarian Syndrome (PCOS)! Low Motility and PCOS - A Natural Pregnancy After Being Told We Needed "Medical Help"
Just losing 5-10% of your body weight, if you are overweight, can restore your menstrual periods and reduce distressing symptoms such as facial hair and acne. Studies have shown that a low glycemic diet combined with exercise is more powerful than drugs like Metformin in reversing prediabetes and improving insulin sensitivity. Eat low glycemic index (GI) carbohydrates such as vegetables and whole grains. It is very important for women with PCOS to avoid refined carbohydrates such as sugar, flour of any kind, and products made from them (e.g. pasta, breads, muffins, and bagel). Keep your blood sugar stable with a daily schedule of meals and snacks every 3-5 hours that includes some protein and good fats (for example, some nuts/nut butter, seeds/seed butter, hardboiled egg, hummus dip). Eat at least seven servings a day of vegetables, including two of leafy greens. Have a daily serving of legumes such as black beans or lentils. Restrict your fruit intake and replace with berries --which have a lower glycemic impact. Eat fruit as part of a meal or with a protein. Pay careful attention to portion sizes in order to moderate glucose load and minimize insulin resistance. Add one or two Tbsp. of cinnamon on cereal each morning to help increase insulin sensitivity. Exercise and stress reduction are very important for controlling PCOS. Get your heart rate up with at least 30 minutes of vigorous exercise six days a week. Also, incorporate stress reduction and deep relaxation into your everyday routine: journal, listen to relaxing music, practice yoga or spend time in nature. The good news is that PCOS is highly treatable. And we feel confident we can help women based on our experience helping women with PCOS take home babies since 2002. Our goal is a healthy baby, which requires a healthy mom and pregnancy. We use a natural approach to restore ovulation and balance hormones so if you choose ovulation drugs or IVF then you have a higher chance of better egg quality and a uterine environment to support an on going pregnancy and a healthy baby and mom. The above risk factors for the mom to be and the baby are why we encourage you to do some preconception work before trying to conceive with IVF or ovulation drugs. Many of the women we see who we have helped restore their ovulation conceive naturally without ovulation drugs or IVF. Additional functional medicine testing to allow us to determine the underlying cause of your hormonal disorder leading to infertility or miscarriage.